Arron Renfrew has a unique experience with the Seattle Real Estate Market and as such is often hired to speak at corporate meetings, investment groups, networking groups, and yearly meetings. Arron has often been interviewed for local news stations and has appeared as an expert on websites and magazines. If you are looking for an expert to speak of Seattle Real Estate let Arron know below. 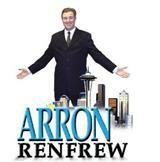 Arron's next scheduled public appearance is January 8th 2015 at Bayview on Queen Anne. Contact for details below.